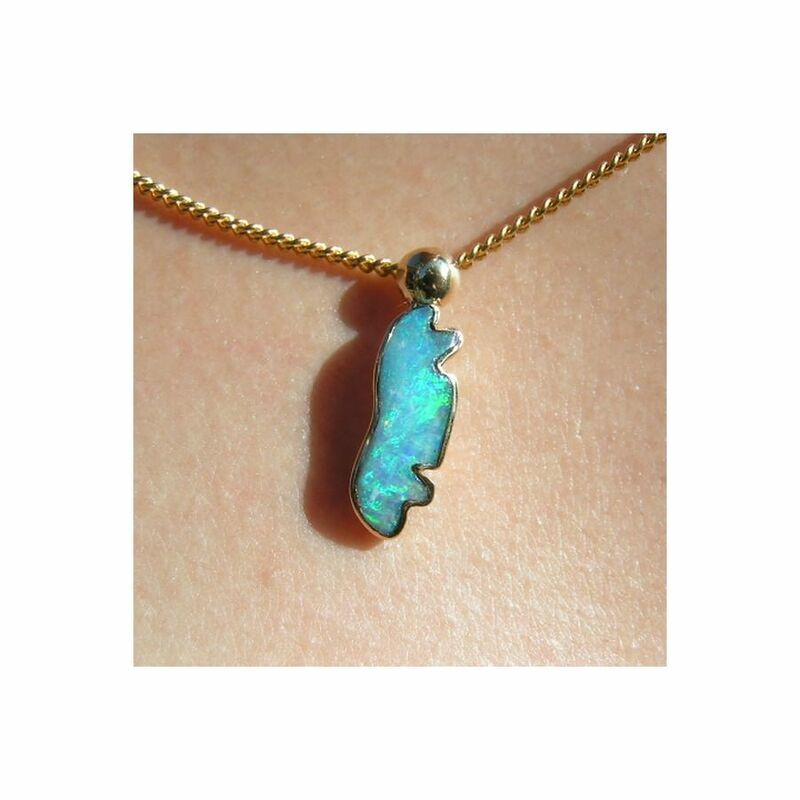 A unique Opal pendant in 18k Yellow Gold with a free form Boulder Opal displaying shades of Blue and Green. 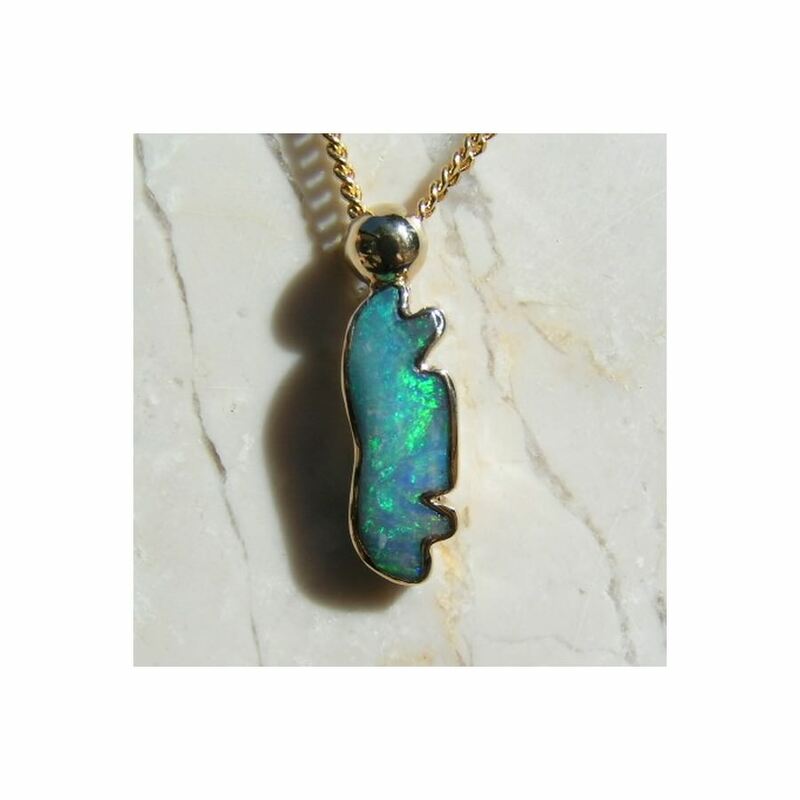 This is a unique pendant due to the free form shape which has been cut to maximize the color display of the Opal. 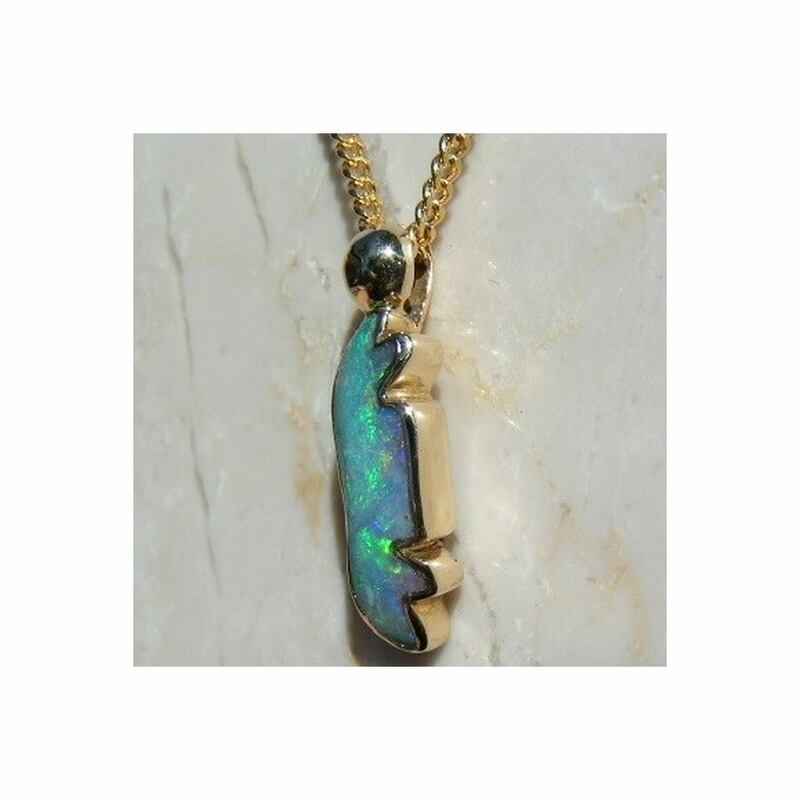 It is called 'Rare Caterpillar' - as that is what it resembles - and features a Boulder Opal which is almost two thirds of an inch long and flashes Blue and Green in a Floral Sheen play of color. 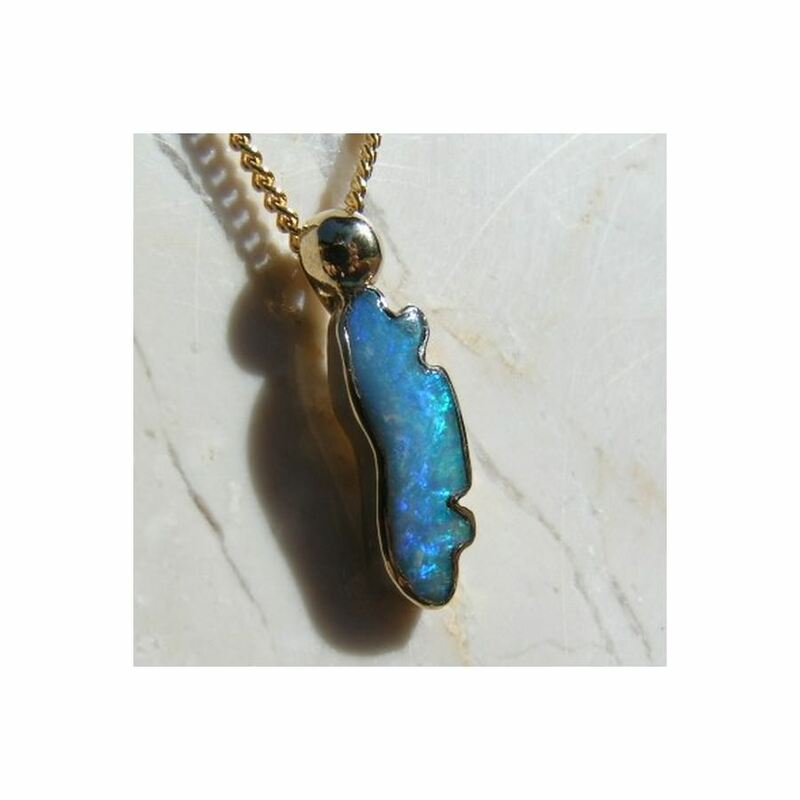 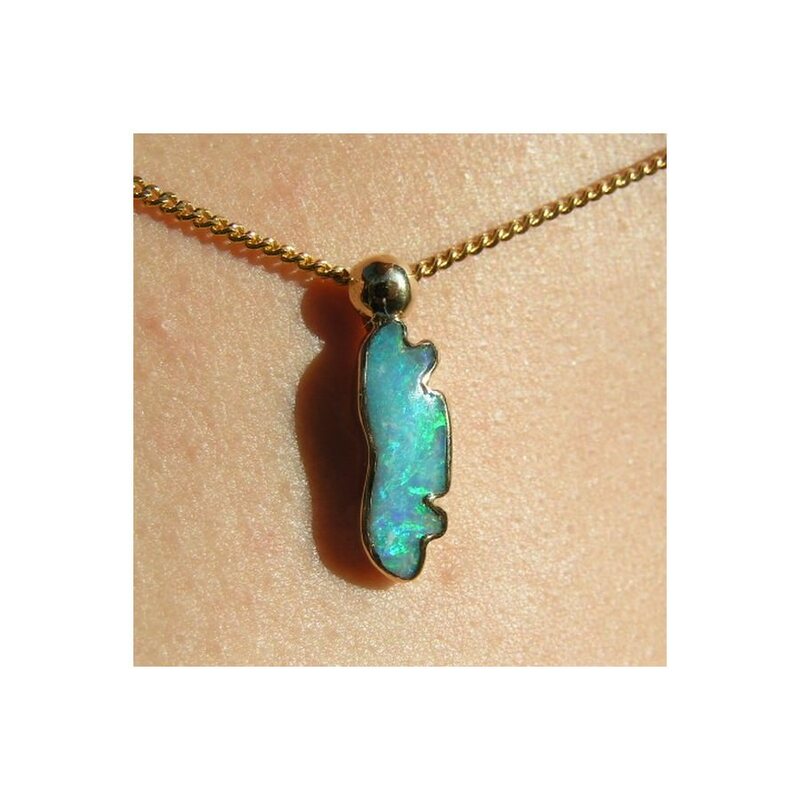 The 18k Yellow Gold has been skillfully handcrafted around the Opal with the pendant weighing just over 3 grams. 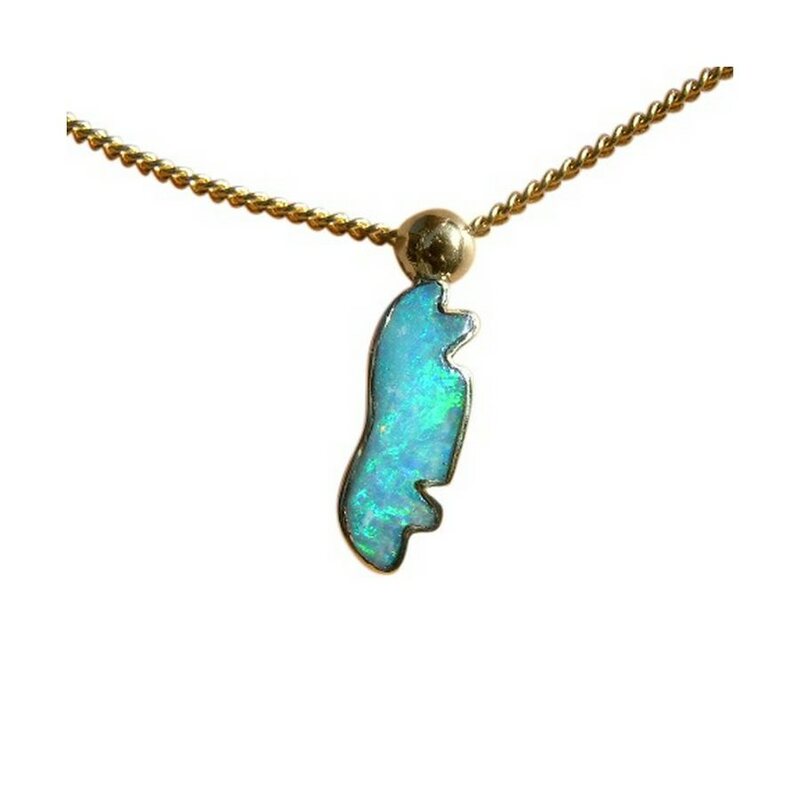 Please note the Gold chain is not included.